Learning to play the piano has never been easier! 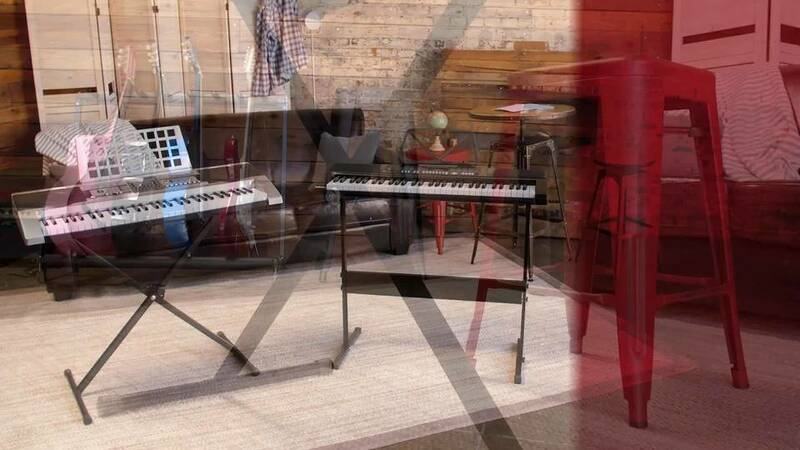 An ideal practice tool for beginners and experienced players alike, this electronic keyboard features multiple learning modes and light-up keys to make learning a breeze. It also has a built in recorder, playback function, rhythm programmer, and more for many ways to play. 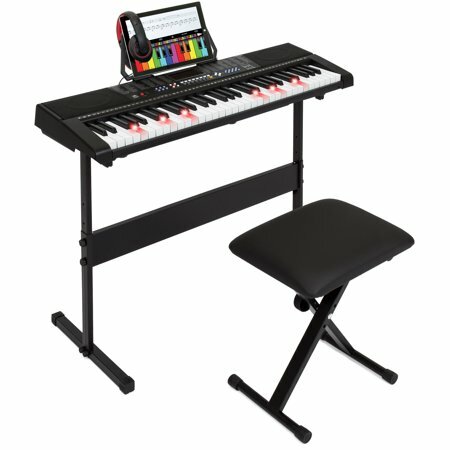 Set it up in just minutes with the included adjustable keyboard stand and stool and start playing in no time! I'm very happy with this keyboard....GREAT price and very quick shipping!!! I will make purchases from this company again soon!! Thank you for submitting a review! We are very happy to know that you are pleased with your purchase. This is a very nice electronic keyboard. 61 keys that play like a large piano. This is portable, comes with a stand, a stool, head phones and lots of options for sounds and rhythms. And amazing amount of options! I am impressed with its ability and I hope I can learn how to play it. I am sure having a load of fun trying. Highly recommend for a beginner or a pro. Wonderful product purchased for my 7 year old nephew. I thought I would be receiving more of a toy, but this is a solid instrument. I think the instructions can use a bit more detai on how to use the various features, but overall, very pleased. Bought for grandchildren in Michigan for Christmas. I did my research online and Best products had the best deal. Delivery in the middle of the Christmas season was fast and the kids were over the top! FYI this keyboard is really big especially with my seven yr old grandaughter next to it! She will eventually get lessons, bit for now she has figured out how to play music and crank up the volume & dance with her friends! I bought this for my 12–year-old granddaughter for Christmas. She is a very talented young lady and was able to plug this in and played a song right away. It is professional quality and a excellent workmanship. There are so many features included! We are so pleased! This is exactly what we ordered, excellent price for the quality. Excellent quality, great performance, well-packaged and arrived exactly as promised. Highly recommend this keyboard to anyone, any age for personal or professional use.